Richard O'Halloran is a banking and financial services lawyer in Dinsmore's Philadelphia office. Rich is the office managing partner of the firm's Philadelphia area offices. 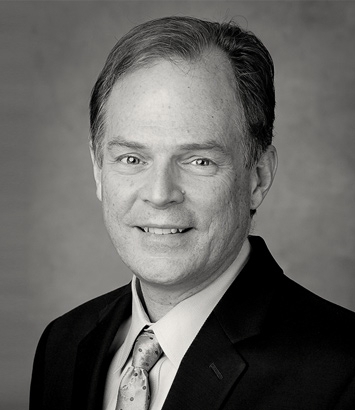 He has more than 25 years of experience in the commercial real estate, financing and general transaction fields. His practice has a heavy emphasis on lender representation in distressed commercial real estate matters, with a special focus on the commercial mortgage-backed securities market. He also has extensive experience with transactions on both the enforcement and workout sides, including foreclosures, receiverships, carve out claims, discounted payoffs, forbearances and note sales. Rich believes in tailoring the strategy of each matter to the particular circumstances involved – weighing the asset class, location and borrower – then working closely with the individual servicing officer or asset manager to decide the best course of action to achieve the desired result. He places a heavy emphasis on full and prompt communication with the client, being mindful of the client’s timing issues and keeping a close eye on the bottom line. He also has extensive experience with secured lending transactions and general commercial and business transactions, including transactions within the media and entertainment industries.